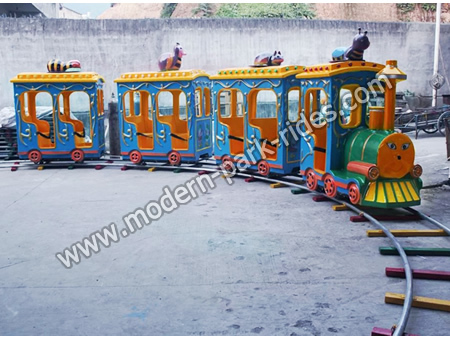 Mini train called the kids train, is an imitation of the production of regular train with locomotive in front, followed by several sections like swing plane cartoon style seat mechanical toys for children to play. Composed by the regular rail tracks, models according to demand free replacement by open electrical cabinet input current to the track for the train started. Adapted to the park, kindergarten. 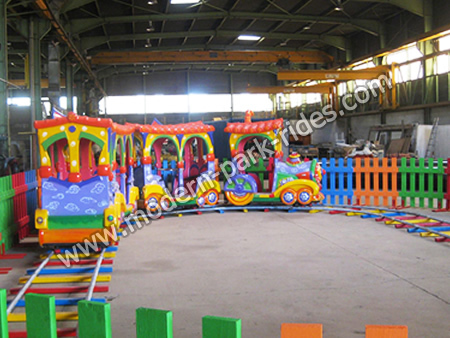 Kids train, is a classic project in the amusement equipments, is a living fossil, which is left in the early industrial revolution for children. Nowadays, it is also prevalently loved by child. The movement theory is very simple. 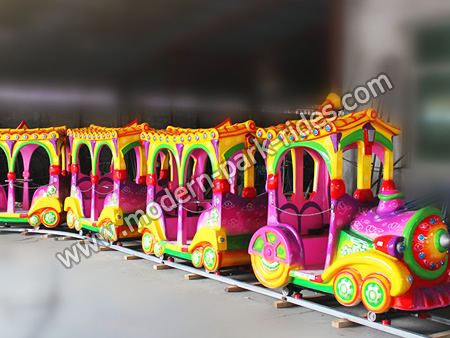 Roughly, several carriages go along the track in the power of traction, with a group of children’s laughter go away. It will surprise and joy to deeply leave in the hearts of children. By the traction method of the power, some use alternate current and some use direct current battery, mainly based on the convenient level of the power for the operational land to determine.